uPVC Vs Aluminum Windows: Which Is Cheaper And Better? Home > Best Reno Tips > uPVC Vs Aluminum Windows: Which Is Cheaper And Better? 03 Mar uPVC Vs Aluminum Windows: Which Is Cheaper And Better? Almost any ID will tell you, the windows are one of the most important aspects of the façade and the overall build quality of your home. The windows can also serve as a décor, as they provide both functionality and beauty to the façade. And as with everything else, bad choice, has the opposite effect. When it comes to choosing the build material for the windows, the question mostly revolves around uPVC and Aluminum windows. What are the differences between them? Let’s break them down. In general, uPVC windows are cheaper than aluminum windows. If price is the sole reason to choose between one or the other, uPVC is the way to go. Some calculations show that uPVC windows are 20 or 30% cheaper than aluminum windows. However, make sure to choose good quality uPVC windows, as buying new windows is an investment. Maintenance is another area where uPVC windows are the better choice. They are extremely easy to maintain, as a simple wipe with a cloth is all it takes to keep your windows clean. Aluminum windows, on the other hand, require a bit more, and their maintenance requires more frequent and constant cleaning. It is a known fact that uPVC never rots, rusts, fades or flakes. When it comes to insulation, uPVC windows take the win again. As a material, uPVC is just the better insulating material. uPVC windows have multi chambered frames, which makes them highly efficient for an energy efficient house. 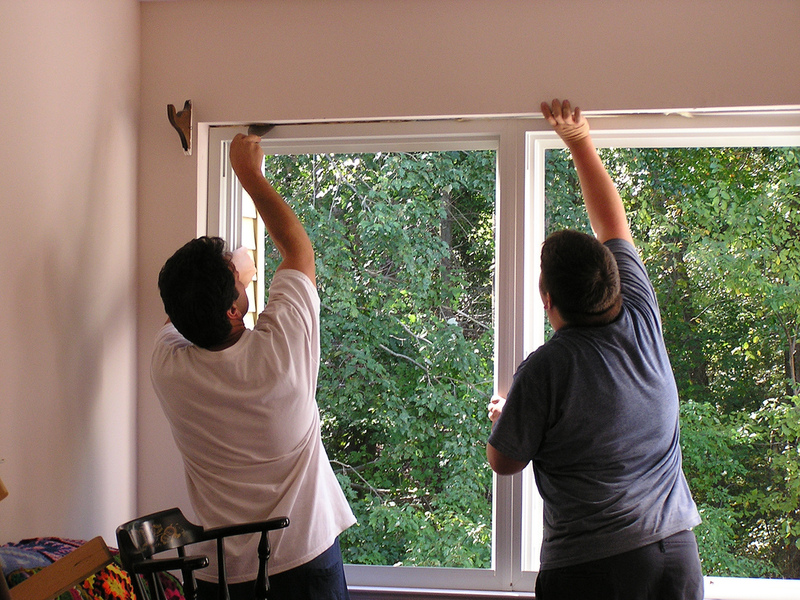 Installing uPVC windows helps a lot for energy consumption. They are great for keeping the warmth in, and the cold out. Aluminum, on the other hand, it is not great insulating material. If the aluminum windows do not have thermostable break, they are weak insulators. The issue can be solved with construction solutions, by integrating a material with good insulation performances into the aluminum windows. By that additionally increases the cost of the aluminum windows. When it comes to durability, this is an area where aluminum windows are gaining advantage. In general, uPVC windows can last somewhere between 15 and 20 years. Aluminum windows, on the other hand, last at least 20 years, and their lifespan can go up to 30 years. All windows with double glazing, no matter if they are made from aluminum or uPVC, require maintenance and replacement of the sealed units after 10 years. Aluminum windows will not rust, peel, discolor or anything similar. Their powder coated finish delivers long lasting and appealing appearance for many years. Simply put, aluminum windows are far more beautiful. The aesthetic options and flexibility of uPVC windows are very limited. The amount of colors that can be used is usually limited to 5 or 10. Aluminum windows, however, offer a wide palette of colors to choose from. Aluminum also looks more stylish, fashionable and sleek. The frames of aluminum windows are narrower and slimmer, which allows for more light to flow into the apartment. As a material, aluminum is a lot stronger. This allows for slimmer frames, while still supporting more weight. Static performances and specs of the aluminum also allow the material to be used for larger windows. Both materials have their advantages and disadvantages. But it is always important to look at window renovation as a long term investment. If you can afford the aluminum windows, with all their extra accessories for better insulation, they are by far the better choice. But for the same amount of money, uPVC windows deliver the better insulation performances. At the end, it always comes down to your budget, and lifestyle. uPVC are cheaper windows, easier to maintain, but aluminum are more attractive and durable.